Home » Celebrate a special Birthday by having St Botolph’s bells ring Happy Birthday! Celebrate a special Birthday by having St Botolph's bells ring Happy Birthday! Celebrate a special Birthday by having St Botolph’s bells ring Happy Birthday! Have you got a special Birthday soon? Perhaps you want to help someone you know celebrate? 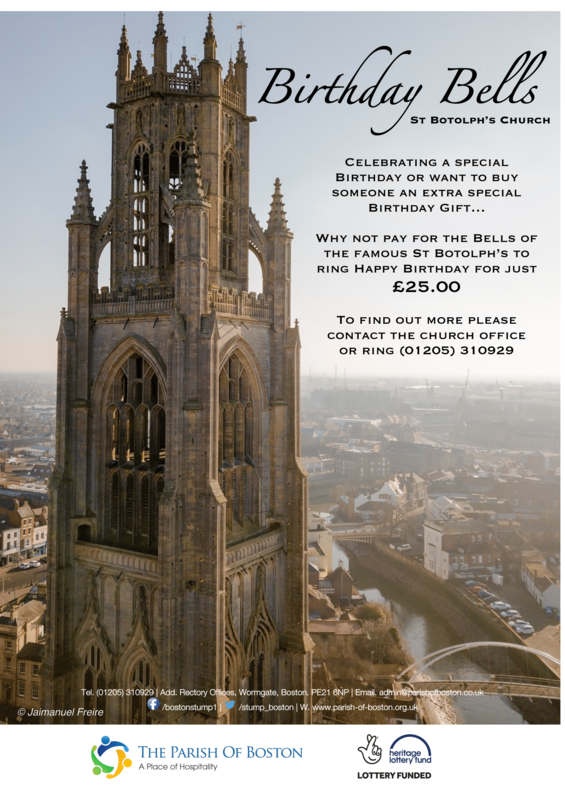 Did you know for just £25.00 you can have the bells of St Botolph’s ring Happy Birthday? All you need to do is contact (01205) 310929 or email chris.ladner@parishofboston.co.uk. Let the whole of Boston know by having Happy Birthday ring across Boston!